Maple Grove running back Evan Hull’s wait-and-see approach to his college football future paid dividends as he announced Monday evening that he has committed to play at Northwestern University. 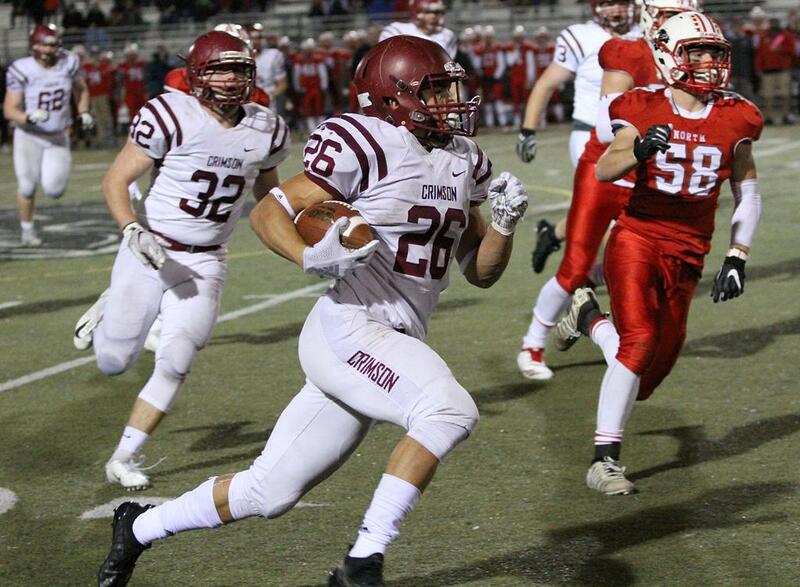 The 5-11, 190-pound Hull led the metro area in rushing last season with 1,915 yards and 19 touchdowns, and became Maple Grove’s career rushing leader with 4,140 total yards. He had numerous college offers from FCS-level and Ivy League schools, but said in December, before the NCAA early signing period, that he was going to wait to see how demand for services would play out after teams had a chance to assess their first wave of signings. Hull said at the time that not getting the offers he was hoping for inspired him to strive to do more. “I have a really big chip on my shoulder,” he said. Hull had also received an FBS-level, Power Five offer from Kansas State and its new coach Chris Kliemann, who had recruited him for North Dakota State before leaving. Hull said that Wisconsin had shown interest as well.